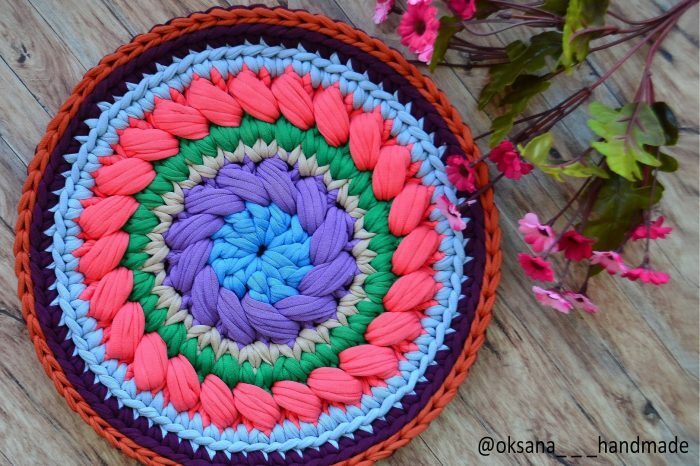 Crochet mandala patterns are great projects no matter what your crochet skill level is. That’s probably a reason why mandala is such a popular and common pattern to work. They are so beautiful because of the many color combinations you can use and the forms they can take. As usual, mandala designs are full of vibrant and varying colors, sectioning off multiple segments in the circle pattern. Crochet mandalas appear to be very eye-catching, elegant and useful as well. They can be used as a coaster or a doily, as a seat cover or a pillowcase or even as hanging wall art. That’s on you how you’re going to use these multipurpose project. All you will need is to follow the step by step video tutorials and try to make each and every stitch according to the easy instructions. Here is a step by step, quite easy to follow video tutorial by Oksana Handmade. Hope you’ll love and enjoy every minute of your crocheting time and please, always feel free to share your experience with us. Good luck and happy crafting.